HEINEKEN East Africa has launched its latest premium draught beer that offers consumers quality straight beer from the brewery into the glass just as the brewmaster intended it to! The innovative delivery system seeks to cater to the rising demand for quality, premium beer. Speaking during the launch which was held at Sankara Hotel, HEINEKEN Kenya Country Manager, Michael Mbungu said the decision to launch draught beer into the Kenyan market was not only informed by the growing demand for premium, quality beer, but by the intention to reinforce HEINEKEN’s commitment to the fast-paced technological sphere in Africa. Indeed, the Heineken® BrewLock system is a revolutionary one that is designed to transform the draught experience by delivering consistent quality in an environmentally sound manner, using the atmosphere instead of complex blends of CO2 and Nitrogen to push the beer out of the keg, into the beer line. Not only, does it simplify bartenders’ life by providing them with a fast and easy system, it will keep them busy as it will give our Heineken® loving costumers a truly great experience that will keep them coming for more, in a responsible manner. Given that Heineken® is the world’s international premium beer brand we understand that we have both the opportunity and responsibility to make moderate drinking aspirational. As such, we implement a consistent, effective approach to encourage responsible attitudes to alcohol and actively discourage alcohol abuse. George Lutta Director 1824, Heineken Sales Capability Operations Manager Nina Ndabaneze, Finance Manager Charles Waweru and Marketing Manager East Africa Njeri Mburu all smiles. “In this, we show as much commitment and ambition as with our product. 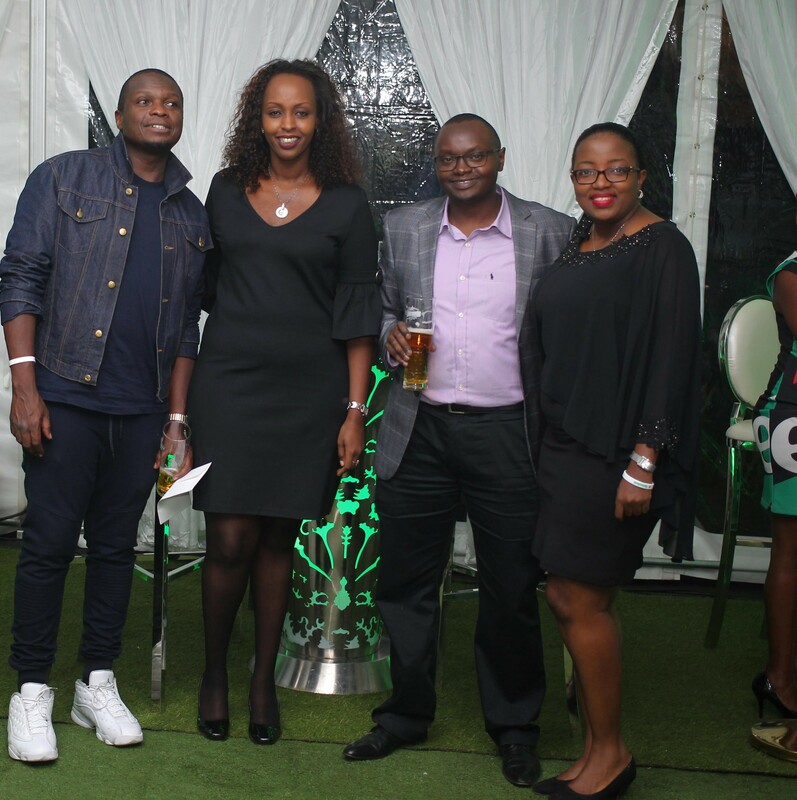 An ambition to match that of our consumers who are, young, ambitious, urban, and innovative, constantly striving for success and curious to try new experiences,’’ said Njeri Mburu, Marketing Manager, HEINEKEN East Africa. “The benchmark entry of draught beer is momentous as it reflects the growth of our East African business and the commitment we have to expand our local footprint in addition to solidifying our portfolio,’’ she added. The new Heineken® draught beer is another milestone after the successful launch of premium beer Amstel® into the East African market, 4 months ago. It will be available in 5 initial pilot outlets where Kenyans will get to experience it in a 250 & 500 ml glass: 3 in Westlands: Sankara Hotel, J’s fresh bar and kitchen and Tapas Ceviche and Purdy Arms in Karen & Kengeles in Lavington. The innovation will be rolled out to other outlets within the year.